When you don't know who to cosplay as, pick a character that has common personality traits with yourself. Like if you you're younger, outgoing, and generally happy but everyone seems to ignore you; do some research on Sealand from Hetalia. :) Most of the characters from Hetalia are fairly easy to cosplay as because they have a more regular style of clothing. For a lot of characters you can probably find a more 'casual' form of their original cosplay. 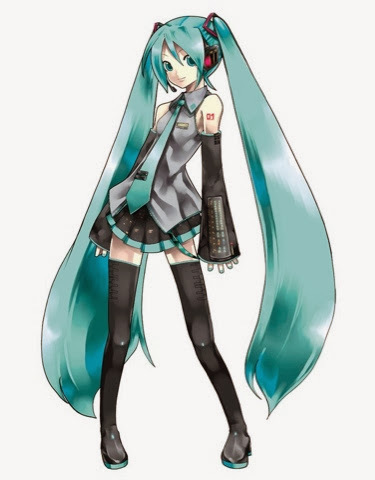 It's made up of a sleeveless gray collared shirt with teal trim, a teal tie, black arm warmers with teal trim, a black skirt with teal trim, thigh high socks with teal trim, black boots, and her specific set of Vocaloid headphones. This cosplay can cost you up to $150 online (at least that's as how high I've found it to be). This whole cosplay cost me about $20 - $30, not including the wig. It was a combined effort with my friend who sewed the trim on the shirt and skirt, made me the headphones and bought the tie for me. My boots were a pair that my mom was going to throw away, I renovated and fixed them up so that they would look nice enough to look only slightly used. :) My grandma bought me the fabric to make my arm warmers and I sewed them by hand. I have yet to buy and make the socks. I got the wig off of eBay for $27.99 + free shipping and I got a free wig cap with it too. :) You see, you want to go through all of the results of your eBay search before you choose one because my friend told me that she bought a England wig for $15.99 then found another for $10.99 + free shipping.